Sony Ericsson’s other new addition to its Android range today is the Xperia active. As the name suggests, the handset is aimed for the sporty types and will come with a 3-inch (320 x 480) dust proof and water resistant display. The display also has wet finger tracking that means it can be used perfectly even if your fingers are wet. It will also come with the ANT+ hear rate monitoring app. The Xperia active is armed with a 1GHz processor and will come with Android Gingerbread and Facebook inside Xperia. 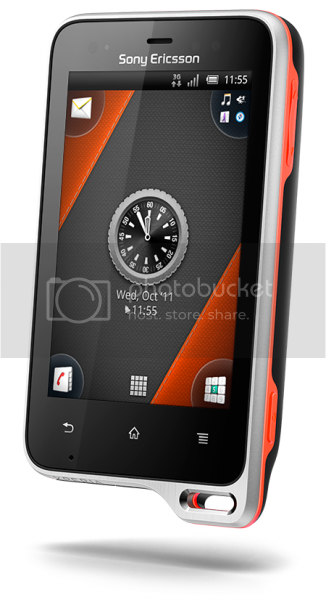 Other features include a 5MP camera, a 1200mAh battery, the Reality display with Bravia Engine. 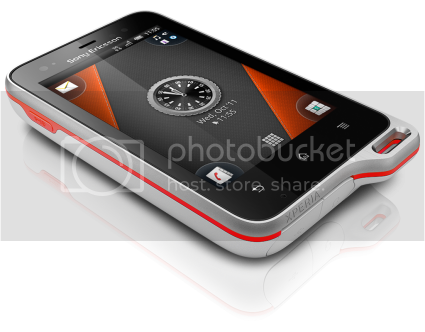 The handset will be available in Q3 in two colours: an orange or white band with a black back cover. Check out a promo video below and another showing Maria Sharapova submerging the Xperia active in a glass of water. The white paper can be downloaded from here.